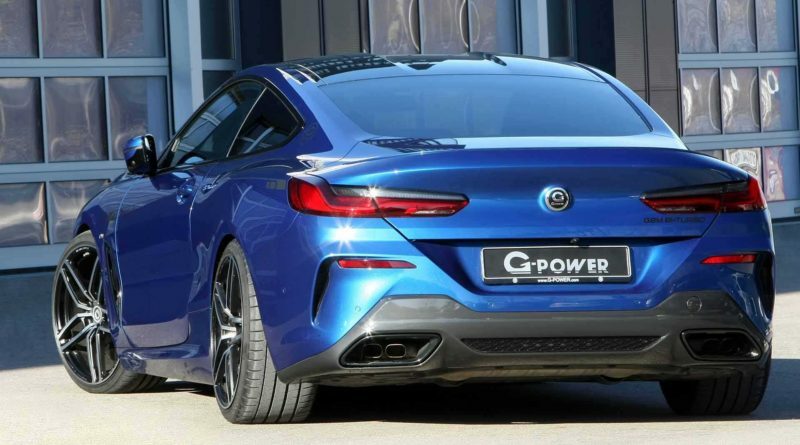 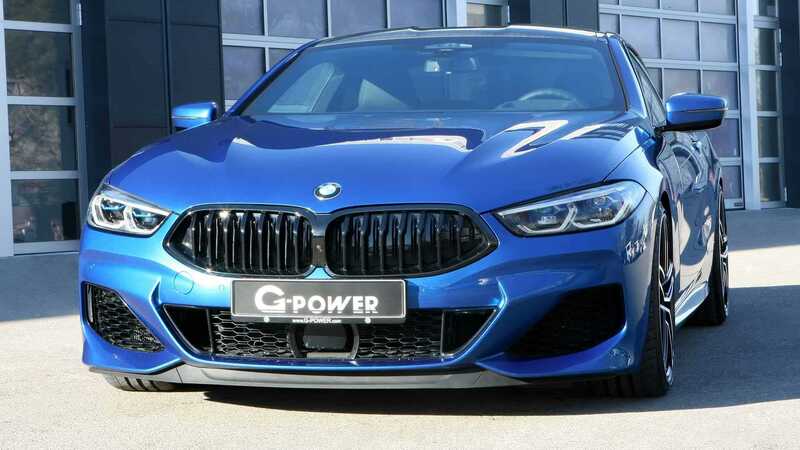 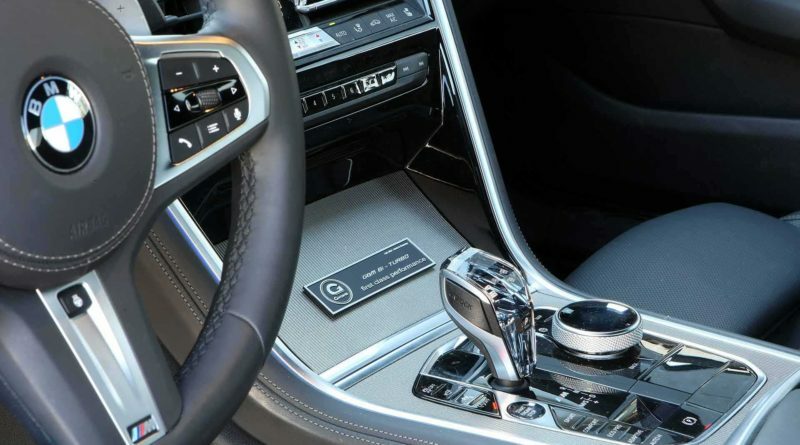 Tuning house of G Power teases G8M Bi Turbo tuning kit of the new BMW M850i xDrive. 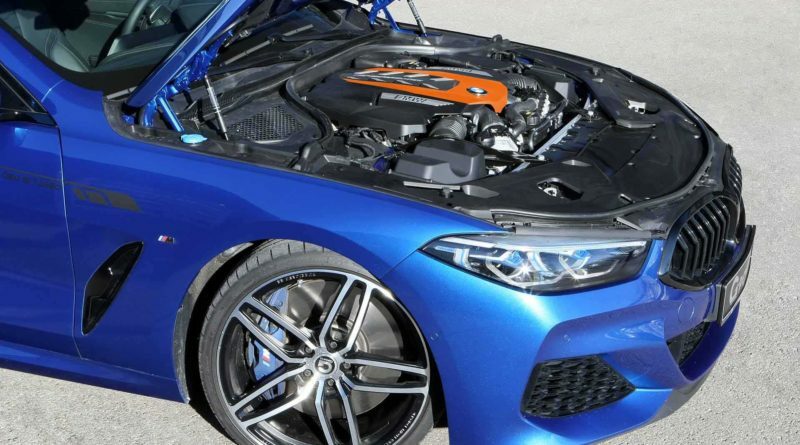 They are claiming that the power output the original numbers are 530 hp and 750 nm 553 lb ft of torque after tuning the Stage 1 kit upgrade M850i after tuning 620 hp and 850 nm of torque. 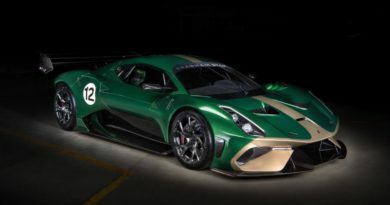 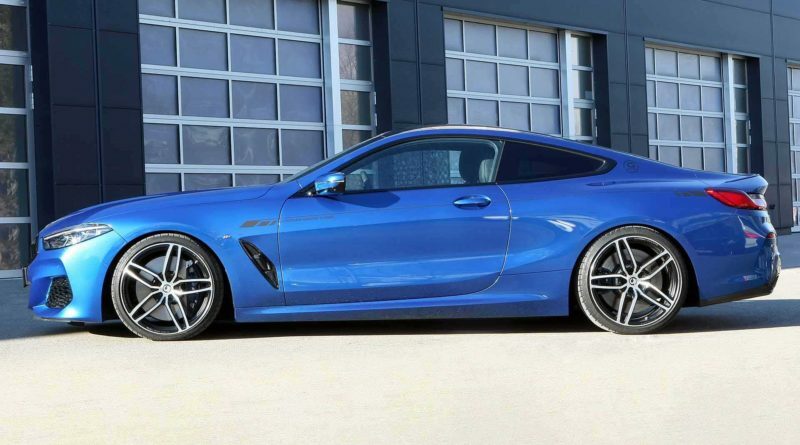 Stage 2 upgrade takes things up to 670 hp and 890 nm. 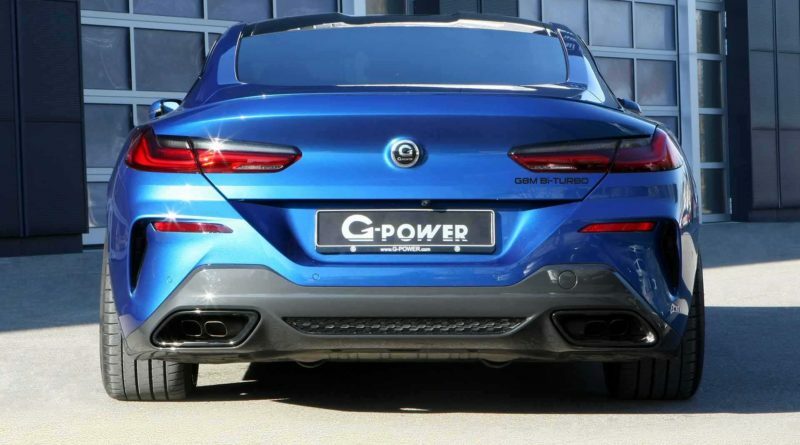 G Power G8M Bi Turbo tuning kit has a new set of stainless steel downpipes including 200 cell sports catalytic converters to reduce both the thermal load and the dynamic pressure and hardware changes along with a new ecu map. 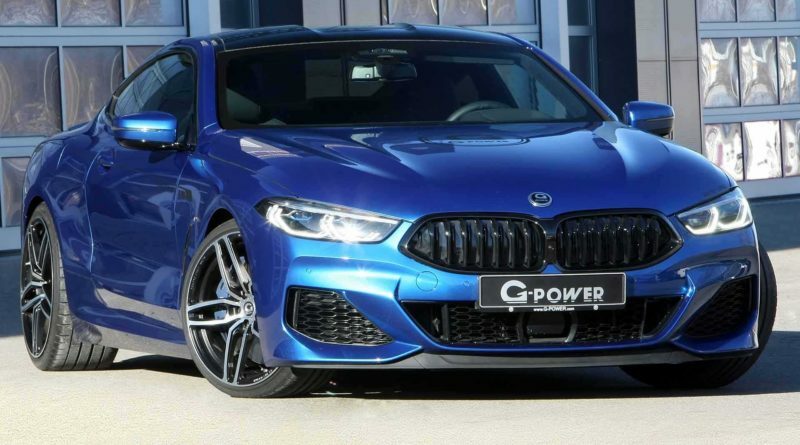 M850i takes 0-100 km/h 62 mph just only in 3.7 seconds, after the upgraded G Power G8M Bi Turbo tuning kit they claimed that 0-100 km/h 62 mph takes just only in 3.1 seconds and the top speed of 320 km/h 200 mph after tuned. 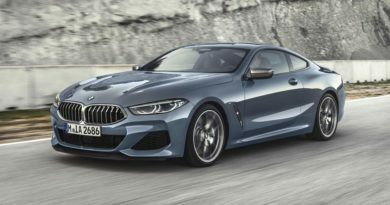 Standard M850i has limited at 250 km/h 155 mph. 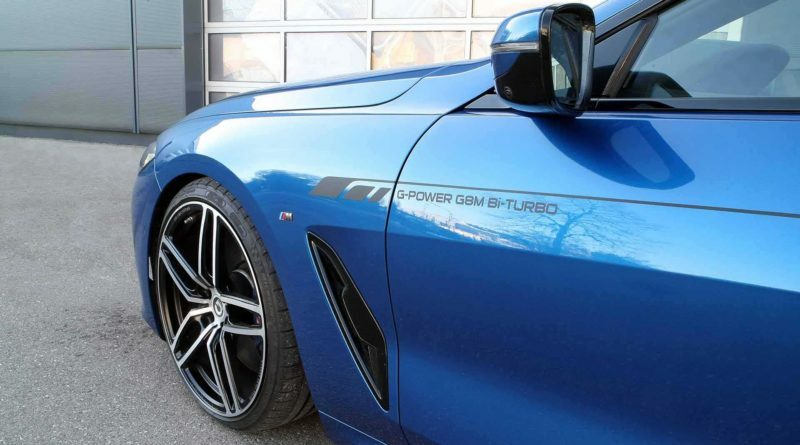 Outside of the G Power G8M Bi Turbo has classic five double spoke design Hurricane RR forged wheels 21×9 inch front and 21×10.5 inch in the back. 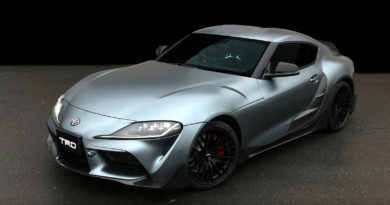 They have high performance 255/30 R21 and 305/25 R21 tyres.